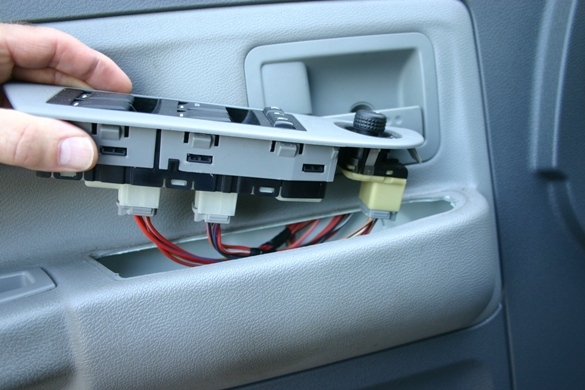 Wiring can cause door lock problems, but switches and actuators are more common. DennisB DenLorsTools.com © Summary: A quick common sense way of thinking about and pinpointing the most common door lock problems on many vehicles. There are several things that can cause the power door locks not to work properly. The most common cause of a single door lock not to work, is a bad door lock actuator (also called a door lock solenoid or door lock motor). Another common problem or cause of door locks not working is simply a bad door lock switch. 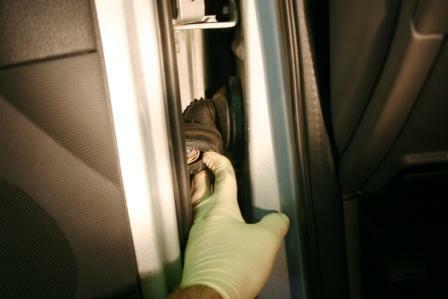 Many cars today have computers that are also in the loop when it comes to controlling the door locks. Fortunately, body computer systems are pretty dependable and give problems very seldom. 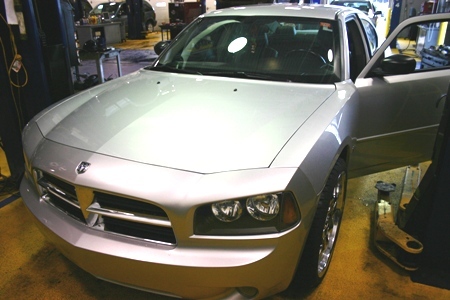 It seems as though the most troublesome vehicles regarding door locks related to computer control issues, are Chrysler’s; Dodge Caravan and Chrysler Town & Country vans sometimes have BUS related issues (BUS means “a collection of wires through which data is transmitted from one computer to another”)… but this is still rare. 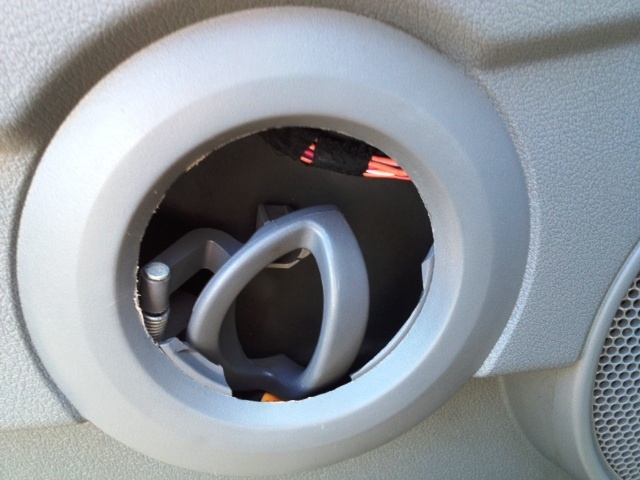 Ford Explorers also have a few BUS issues that can be related to door lock security module, or wiring shorting out that goes from the door into the body. Usually when checked with a scan tool in the body control or security section, there will be a code indicating if there’s a BUS fault. Problems can also include other failed parts that aren’t high-tech, like a linking rod connector. Sometimes the linkage can pop off during the process of a locksmith using a slim jim or someone using a hanger to unlock a door. It’s easy to hook onto a rod and disconnect a link. In this case it’s just a matter of removing the door panel and maybe adjusting the linkage and replacing the plastic rod retainer if it was weakened or broken. Door latches can wear, some have the door lock actuators built-in and others don’t, but a worn latch in either case can cause problems. If there is too much play or excess movement, the door lock may not work dependably. When replacing door lock actuators, a lot of times they are only available as an assembly including both the door latch and actuator as a unit. It depends on the make and model how they are which design they have. Door Lock Diagnostics. First think about the problem logically. 1. If there is only ONE door lock not working, the problem is more than likely isolated within that particular door, barring some unusual wiring issue. 2. If all the door locks work with the passenger side door lock switch, but not the driver’s door lock switch; then the problem is likely the driver’s switch. 3. If a single door lock only works in one direction, either to lock or unlock but not both, then the problem is likely to be the door lock actuator. 4. If ALL door locks work only in one direction, either to lock or unlock but not both, then the problem is likely to be a bad door lock switch. Question – I have a 2004 Jeep Grand Cherokee and the right rear door lock makes a loud buzzing sound when I try to unlock the door. Can you suggest what the problem could be? Answer – This is a common symptom of an actuator that has gone bad. It could be the gears inside that are worn not meshing properly, although the exact cause of failure doesn’t really matter since the part is replaced as a unit and not taken apart and repaired. 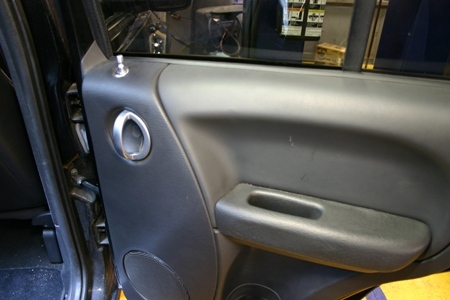 Question– After replacing an exterior door handle on my Mercury Mountaineer, the door locks will not work properly. The locks worked before, what could be the problem? Answer – Since the door locks worked before the door handle was replaced, the problem most likely is the link adjustment from the handle to the door lock actuator. If the adjustment is too tight or too loose, it will not work properly. A little free movement of the handle should be felt if the adjustment is correct. It’s best to notice where the positioning is on the threaded part of the rod prior to taking it apart, then check the door lock operation before putting the interior door panel back on. 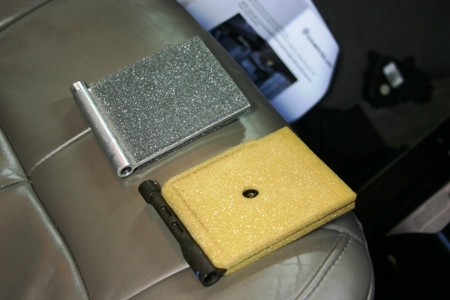 Question – On my 2003 Ford Explorer, the power door locks go on and off while driving down the road. The door ajar warning comes on the dash and chimes, what could be the problem? Answer – It’s possible that one of the door ajar switches located in a door latch could be going bad. Another possibility is a wire that goes from the door through the body could be shorting sometimes (see the picture at the top). The Explorer uses a security module located underneath the right rear quarter window behind the trim panel – I’ve heard of cases when the window is not closed, rain can enter and ruin the module causing strange problems due to the water shorting it. i have a 2003 mustang GT. My doors will ONLY lock using the key fob. the button on either door does not seems to do anything. As well my power exterior mirror switch stopped working. my power window buttons all work fine. I am perplexed. Some comments are not showing due to a technical issue. Here’s my response. Possibly a relay. Would have to do some testing with a DVOM (digital volt-ohm meter) to see where the fault is. A diagram will be needed for your particular model. This is not really what I consider a do-it yourself type project. Even many auto technicians are not proficient when it comes to electrical problems. If you feel you have the skill-set good luck. If above, in the door lock section 4. “If ALL door locks work only in one direction, ether to lock or unlock but not both, then the problem is likely to be a bad door lock switch.” In my case its both switches (driver/passenger) that unlock ALL locks but not lock any of the locks and this is intermittent. I tried swapping the passenger door lock switch for the drivers side, same problem which I think would eliminate the switch. It doesn’t seem to be bad wiring as its same whether I move wiring around near switch or not. COULD it be that the BCM could simply need the contacts cleaned (i read where a guy with snowmobiles says when he unplugs every last wiring plug on the snowmobile 2 or 3 times and puts them back (it cleans the contacts by the act of plugging/unplugging) that it seems to miraculously make it work. Any help would be nice (all the door solenoids seem to work very well WHEN it does work intermittently). Thanks. Frustrated. I’d check power to the actuators. Sometimes one will fail and won’t be noticed. Then a second one fails and then all are checked. It’s common to think that the two are related if you think they both stopped working correctly at the same time. If working the actuators repeatedly to test they can overheat the circuit and stop working temporarily til the circuit breaker cools down. If it’s not the actuators, I get a wiring diagram and do further testing with a meter. Corroded terminals are not common unless the vehicle has been submerged or is a convertible that has been exposed to the weather. It’s much more likely to have a broken wire hidden within the insulation (plastic wire coating) from opening and closing the doors many times over the years. The broken wire could be making contact sometimes. Good Luck. Tina I’d check power at the master switch. Good Luck. My rear passenger door wont always unlock with the Fob. Now all the other doors are having intermittent issues. Sometimes they all lock and unlock, sometimes they don’t. sometimes just the rear passenger has issues. 08 Avalanche front and back passenger side doors lock by power but both the front and back drivers side doors will no lock by switch or key fob, they only lock and unlock manually of by turning the key. Could this still be the case of a solenoid just on each door? I have checked the fuses and the fob, they are both fine. Sorry not enough information to go on.